Well, we've been getting a bit caught up in the gents again of late, haven't we? 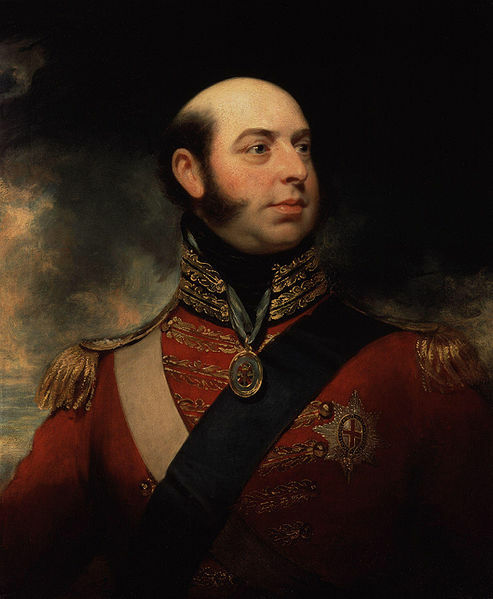 Looking through my bureau in search of gossip about Queen Adelaide, I was reminded of the bitter feud between King William and his sister-in-law, Princess Victoria, the woman who would one day be mother to the ruler of an Empire. From Germany to England by way of a couple of shrewd marriages, it's time to say happy birthday to Princess Victoria, Duchess of Kent. Born as the seventh child of Franz Frederick Anton, Duke of Saxe-Coburg-Saalfeld, and Countess Augusta of Reuss-Ebersdorf, Victoria enjoyed a privileged upbringing. Bright, charming and attractive she was a cultured young woman with one eye set on making a good match. In fact, that match would come in the shape of Carl Friedrich Wilhelm Emich, Prince of Leiningen, the husband of Victoria's aunt, Henriette of Reuss-Ebersdorf. More than twenty years the young woman's senior, the Prince married Victoria two years after Henriette's death. The couple had two children and little more than a decade after the wedding Victoria was both a widow and Regent of Leiningen. Not content with the lot that fate had dealt her, the social-climbing Victoria would not be single for long. In England, something of a monarchial storm was brewing; the Prince Regent's only child, Charlotte, was dead, his brothers either unmarried or estranged from their wives and his sisters apparently past childbearing age. With no legitimate heir to the throne on the horizon it was left to the Duke of Kent, the Duke of Cambridge and the Duke of Clarence (later King William IV) to find suitable wives as quickly as possible. 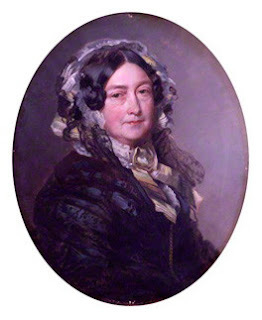 Victoria already had links to the Hanover family as her brother had been married to Charlotte until her death and the young princess had actively encouraged the Duke of Kent to take an interest in her sister in law. Now, with the throne at stake, he redoubled that interest and the courtship became a more formal affair. Still in her early thirties, the Regent of Leiningen was something of a safely respectable prospect and on 29th May 1818, Edward, Duke of Kent and Victoria were married in Amorbach, Bavaria, the union sealed once more on 11th July at Kew Palace. Their only child, Princess Alexandrina Victoria of Kent, was born in May the following year, destined to become better known to history as Queen Victoria. Edward doted on his daughter but he would not live to see her grow and before the girl was one year old, her father was dead of pneumonia. Another source of support to the widowed Duchess was her private secretary, John Conroy. 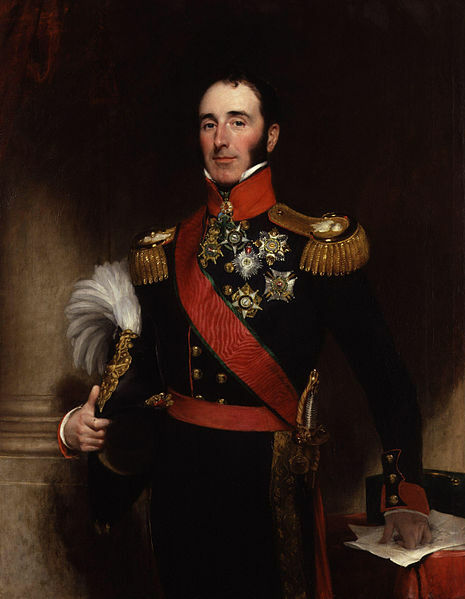 As ambitious as Victoria herself, Conroy allied himself strongly to the widow in the hopes that her daughter would be crowned Queen whilst still a child, ensuring that her mother would become Regent and rely on his guidance. Under the influence of the charming Conroy, the Duchess prevailed upon her daughter to appoint him as her own private secretary, a decision that would later cause friction between the two women. Conroy created an idealised public image for the Duchess of Kent whilst behind closed doors he and his patroness imposed strict rules and systems on the young Princess Victoria that saw her isolated and increasingly unhappy. Rumours swirled that the Duchess and the Welsh officer were more than friends and though Queen Victoria's very paternity has been questioned, she utterly rejected any suggestion that her mother and Conroy were lovers. For all the scheming and manoeuvring, King William IV seemed determined not to die. Well aware of the plans for a Regency, his fraught relationship with the Duchess deteriorated further into a full blown feud. Once her daughter's succession was assured, Victoria decided that she deserved grander quarters and moved into the refurbished State Apartments of Kensington Palace. William was furious and made no effort to hide his dislike of his sister in law, though both he and Queen Adelaide were devoted to the young heiress to the throne. The King and the Duchess would never be reconciled and at his final birthday banquet he railed against Victoria, making it clear that his one wish was that she would never be Regent. In fact, William was to get his wish and by the time of his death, the heiress to the throne was a young woman and the ambitious Duchess and her private secretary's plans for a Regency lay in tatters. Finally emerging from their shadow, the new Queen exiled the debt-ridden pair to Buckingham Palace where they remained until 1839, when Conroy left England for the continent at the urging of the Duke of Wellington. 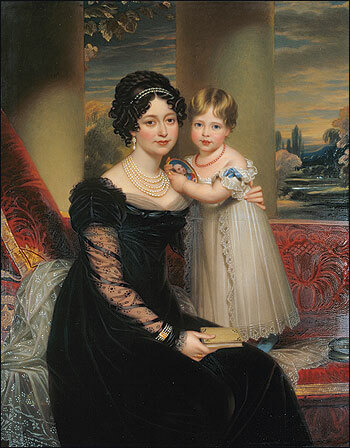 The Queen distanced herself from the mother she saw as scheming and domineering and this discord would persist until the birth of Queen Victoria's first child, Victoria, Princess Royal, when the Duchess was finally welcomed back into the bosom of the family. Her debts were settled and the she embraced life as a grandmother, remaining devoted to her daughter and grandchildren until her death. Despite their fractious early relationship, Queen Victoria was devastated by her mother's passing; she clung to her husband amid her grief yet the year was to bring even more devastation and by the end of 1861, Prince Albert of Saxe-Coburg and Gotha was also dead, the Queen plunged into a deep mourning from which she would never fully recover. So interesting to see this from the POV of Victoria's mother. We usually see Victoria's side of things. Thank you for your comment! 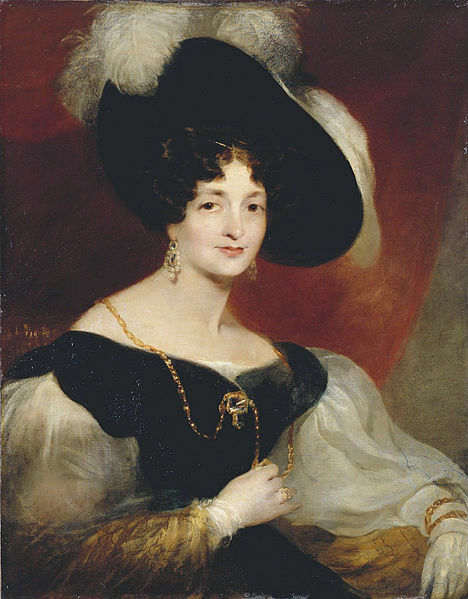 The Duchess was an interesting character in her own right; she certainly had quite a life! She was a beautiful woman - right on into her older years. I do think there's a hardness to her face; she is very regal, though! Interesting. Even from her point of view, however, she is unattractive. William continues to sound like a dear. what happened to the children of the first marriage? Both married well and lived to middle age! My husband's 5 x great grandmother is a sister to the Duchess. Because she, Ellen, married beneath her. She is hard to find out anything. Nice to finally find some family history. A wonderfully illustrious branch on the family tree!